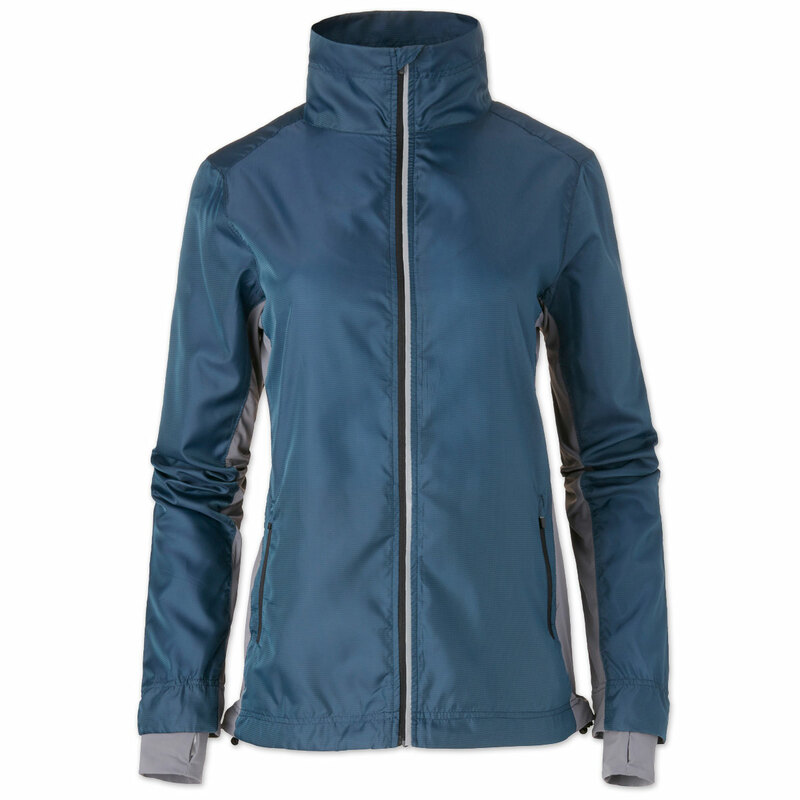 The EQology Jacket by SmartPak is from the EQology Collection by SmartPak - look good, do good, feel great. You'll feel great wearing EQology by SmartPak because every piece is built for performance with an athletic fit and constructed with a breathable and moisture wicking fabric that is not only sophisticated and stylish but more importantly responsible to the earth, using recycled materials whenever possible! 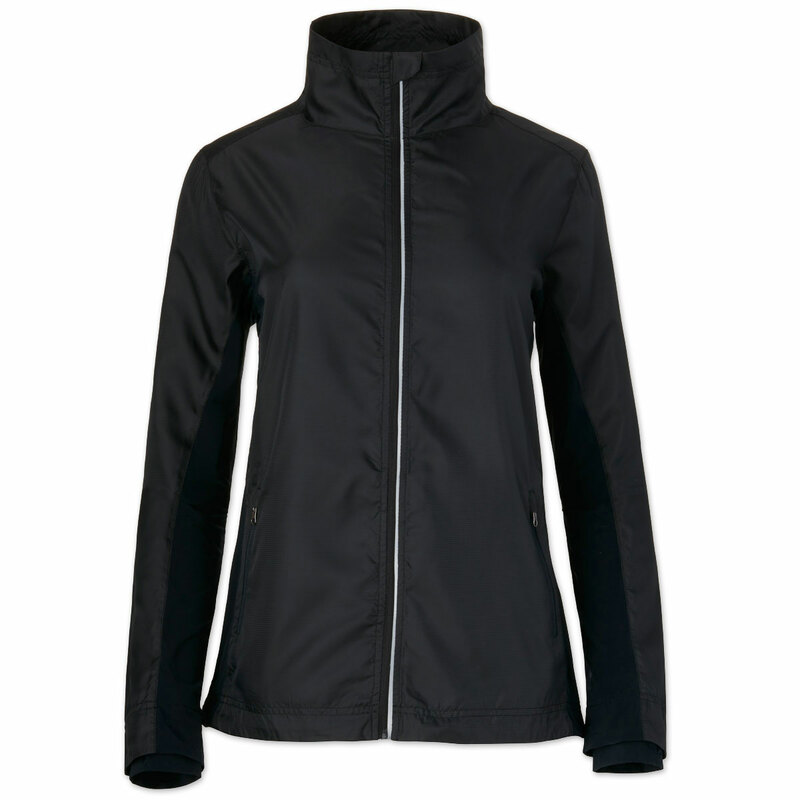 EQology Jacket by SmartPak is rated 4.2 out of 5 by 60. Rated 5 out of 5 by Bumblebuddy from Comfortable, easy to bring anywhere Fantastic, super light shell for everyday wear. Roomy without being baggy, and comes with a secret back pocket that contains a small pouch the entire jacket packs away into for easy transport. Light enough that I barely notice it, but sting enough to cut the wind. The wind guards with thumb holes at the cuffs are very comfy. I have both the red/berry color and the navy. Both are attractive, but I surprised myself by liking the brighter color better. Has reflective strips which is a great detail. My favorite go-to for early morning trail rides before it gets too warm. Rated 4 out of 5 by Skyringer from SUPER thin but surprisingly warm Really surprised at how thin this is, but also how warm it is. Not something I would expect to hold up to intense activity or resist damage if it gets snagged on something, but it's perfect for those chilly mornings that warm up to tank top weather by 1030. 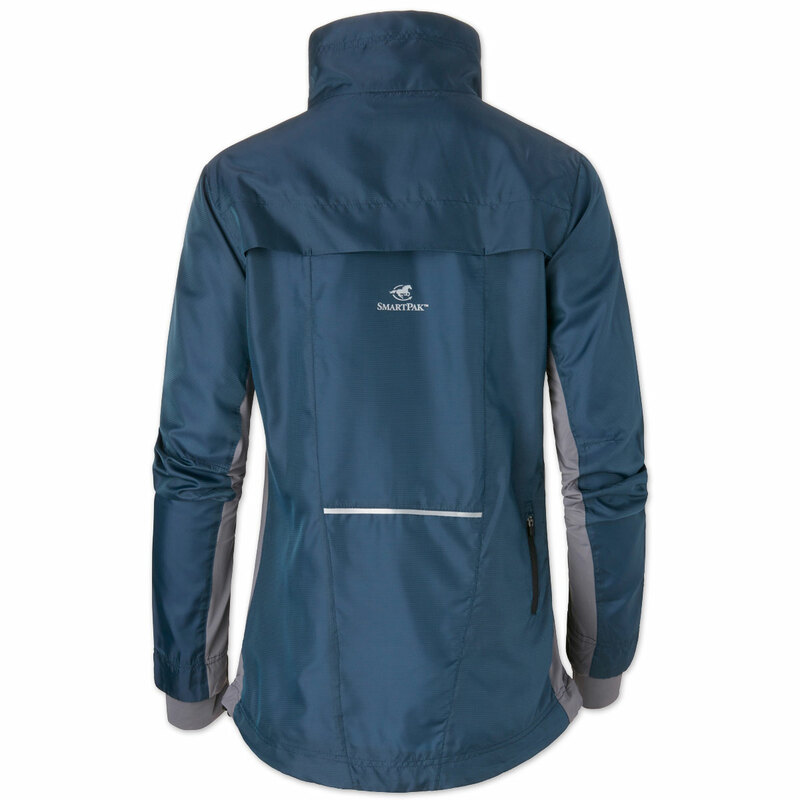 Rated 4 out of 5 by Stef4 from Nice looking jacket Very light weight, looks nice, but it seems to run small. Rated 5 out of 5 by mslily from So cute!!! 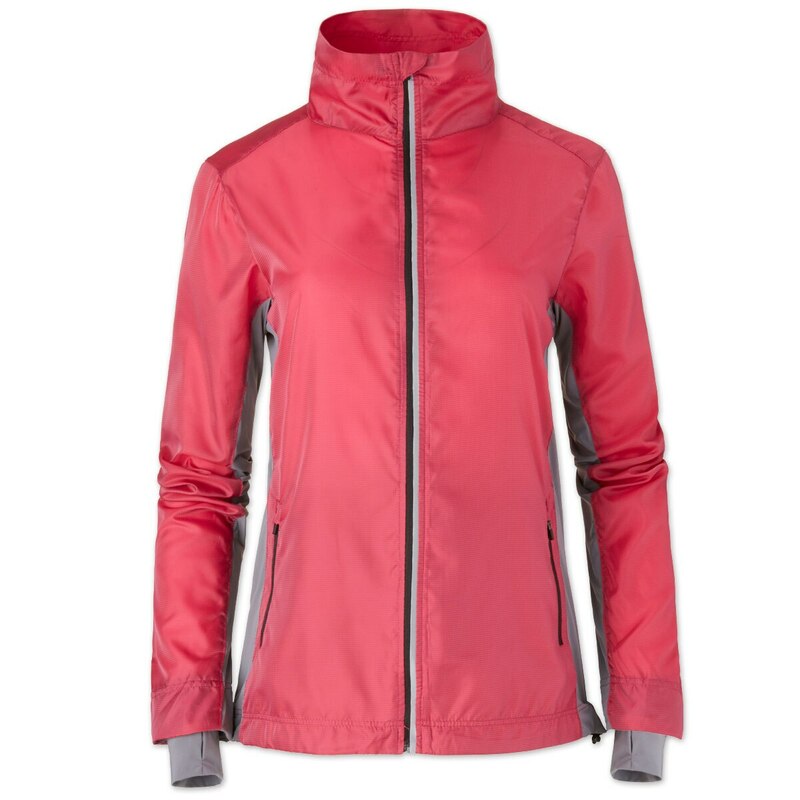 I love this windbreaker for in the barn, out in the arena, and out with friends. It's adorable! Easy to wash, so I'm not shy wearing it to the barn to get dirty. It has holes for your thumbs to keep the sleeves in place, which is a wonderful thing when you're doing a lot of activity. I really love it. Rated 4 out of 5 by marylou from Very stylish light jacket I just bought this, partly because it was on sale but also because I had just bought the matching vest. The vest was super stylish and flattering, elongating the torso and overall look. This jacket is very lightweight, which works for me because I am located in Texas. I got the XL and I do not think it runs small, it is about true to size but not a generous XL in my opinion. The sleeves are nice and long which works for me too and the cuffs have thumb holes. I then had it embroidered with my barn name which adds a very nice touch to the overall look. I would buy this again if it were in different colors. This will be great for the time between summer and winter, not exactly a Fall here in Texas. 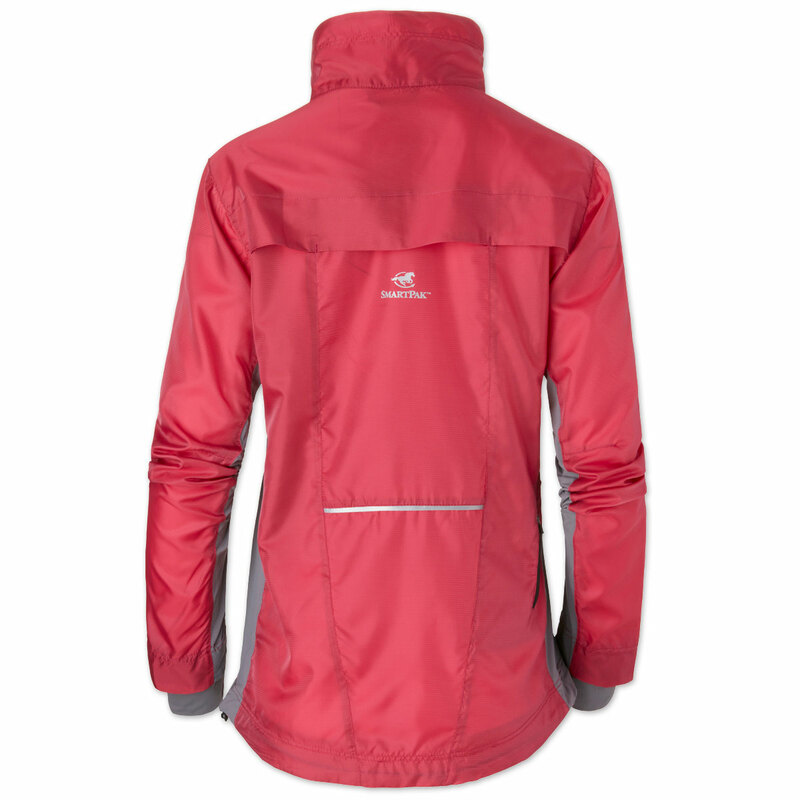 Rated 4 out of 5 by Karen from Good for the Trail This jacket works as a nice, very light weight, water repellent, wind breaker. I ride English Trail and have limited space in my saddle pad pockets. This jacket folds up into a very compact size. 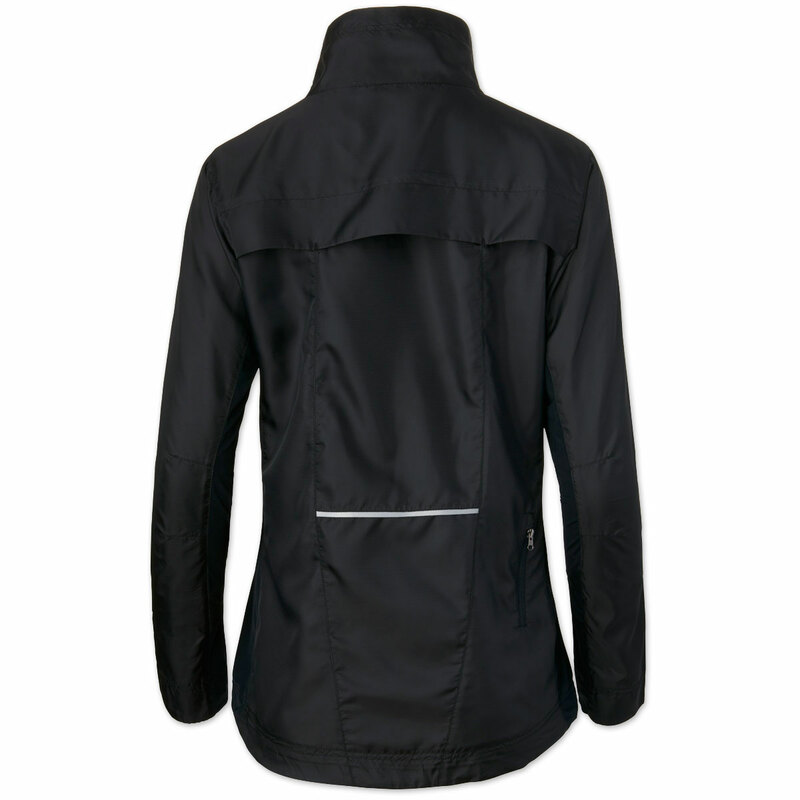 It can make the difference between a chilly damp ride and a more comfortable one. It also has a flattering fit w/ thumbholes to help keep your hands warm. A nice addition to my trail essentials. Rated 3 out of 5 by Barb from I ordered this jacket because I like the idea of using recycled fabric. I had read the reviews of the sizing running small. I normally wear a M-L so I ordered an XL. The sizing is way off. I would say an XL is more like a S-M. I ended up returning the jacket because of size. However, I liked the look of the jacket. Rated 1 out of 5 by Helen from Not a rain jacket. I bought this thinking it would be a good summer rain jacket. First time I wore it in the rain, I got soaked. Rated 5 out of 5 by TbGunner from Very lightweight! Love how it fits and moves with you when your riding.